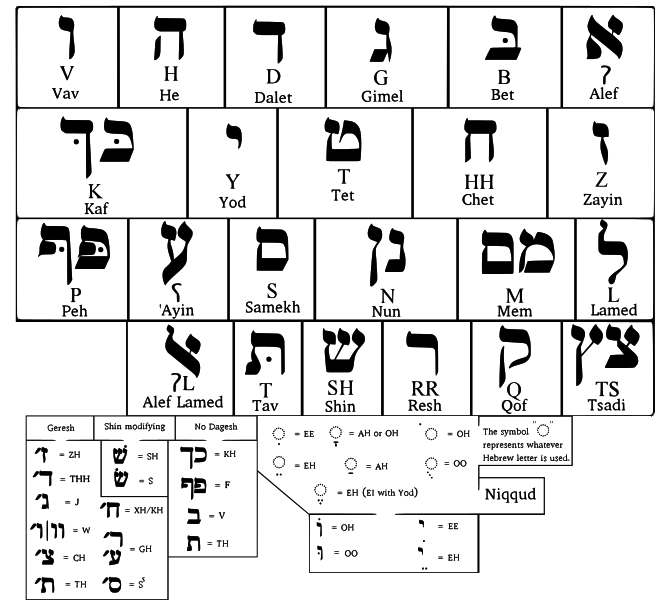 Psalm 25, an acrostic psalm in Hebrew, runs to 22 verses. The alphabetical arrangement is lost in our translations. The psalmist seems to swing between two states, first soaring then penitential. Our selection is the first ten, more aspirational, verses. David then goes on to lament his failings and seek forgiveness in the second half. This theme accounts for the appearance of this psalm again during Lent. Unto thee, O Lord, will I lift up my soul; my God, I have put my trust in thee : O let me not be confounded, neither let mine enemies triumph over me. 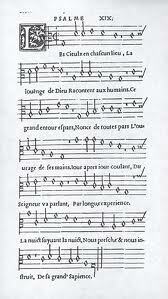 Many early settings of this psalm may be found, including those by Boyce, Lassus, Goudimel (Genevan) and Blow. 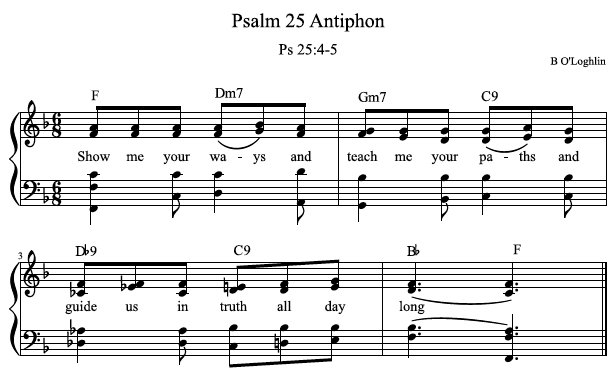 Composers of any era usually chose to use either first aspirational or second penitential section; an impressive total suggests that this psalm was of particular interest and widely loved. Together in Song offers a composition by Christopher Willcock, whose work we find reliably beautiful. The verses are a little tricky for those who do not read music. Everett in The emergent psalter uses verses 4 and 5 for the antiphon. Psalms for all seasons gives us 25A, again using verse 1 as the refrain and verses to a tone; as well as a more formally arranged 25C. The Taizé chorus Ad te Jesu quotes verse 1 of this psalm, may be sung as a round. Choose how you sing the verses. South Woden: The congregation will sing verses antiphonally without a refrain, as was the traditional practice for prayer services like vespers. You might recall that several Renaissance composers set arrangements for just the odd or even verses.